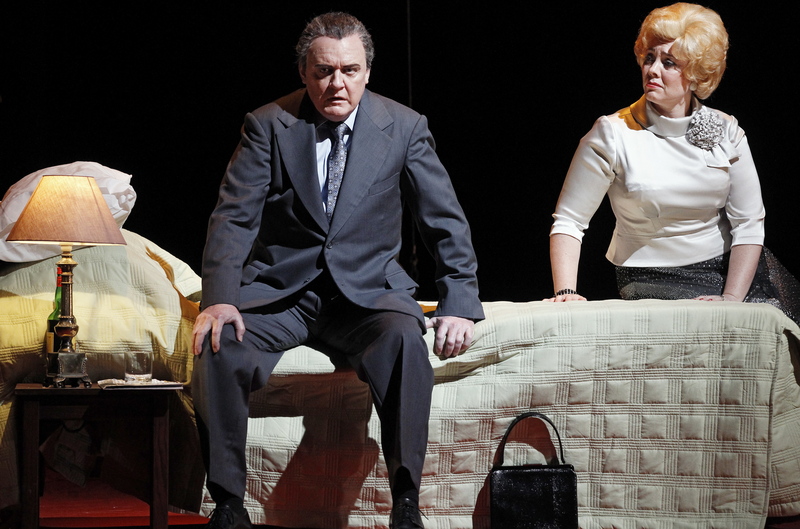 John Bell’s 2013 staging is a prized jewel in Opera Australia’s repertoire. 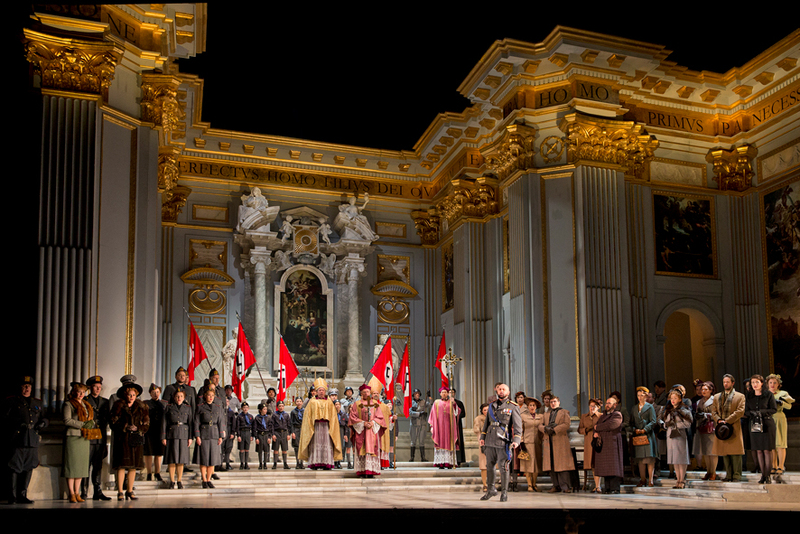 An excellent example of an intelligent update that serves both the music and the drama, this Tosca is set in Nazi-occupied Rome, giving Scarpia abundant menace and entitlement as a high ranking Nazi officer. 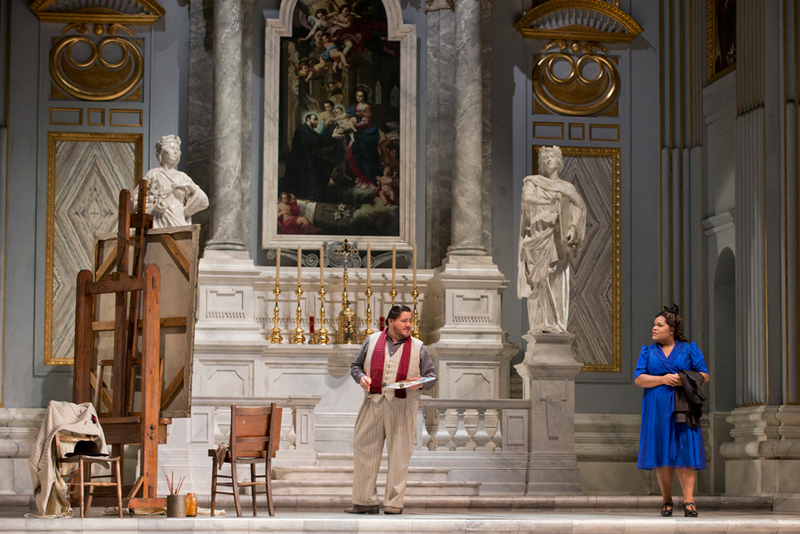 Revival director Hugh Halliday maintains the fine details of Bell’s original direction, beginning with some gently amusing moments in the church as the opera begins. Entrance of the congregation, officers, boys choir and clergy leads to a spectacular stage picture as act one climaxes with the “Te Deum”. Working with principal artists who are as talented in acting as they are with singing, Halliday underpins the dramatic stakes with passionate romance. Michael Scott-Mitchell’s sets are quite extraordinary, none more so than the gleaming, gilded, white marble church of Sant’Andrea della Valle. The precious beauty of the church makes the presence of Nazi flags in the liturgy all the more sickening. Bell has a sinister use for one of these flags, when, in place of the usual crucifix, Tosca drapes a torn Nazi banner over Scarpia’s dead body. There is an interesting angle to the portrayal of Scarpia in the current social climate in which men’s abuse of power is exposed and, rightfully, shamed. Scarpia’s manipulation of the tearfully vulnerable Tosca is insidious, as is his random molestation of a female officer early in act two. Flagrantly abusing his position of power to force Tosca to submit sexually, the fact that he is violently denied his goal has never been sweeter. Emerging conductor Andrea Battistoni gives a rather gymnastic performance on the podium as he works with Orchestra Victoria to bring out the rich, full colour in Puccini’s highly emotive, brilliantly conceived score. At times, Battistoni calls for a volume that threatens to overpower the vocals; fortunately, the balance improves in acts two and three, when there is a preponderance of string accompaniment and when sympathetic scenic design supports vocal projection. American soprano Moore makes a splendid Melbourne debut, winning every heart with the gorgeous tone of her voluptuous soprano and her charismatic stage presence. Moore has a charming smile that lights up the mighty State Theatre with mega-wattage to spare. 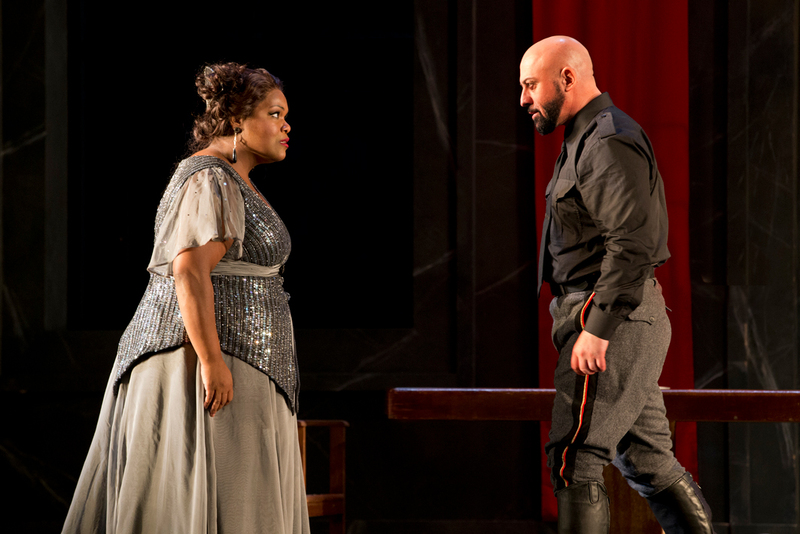 Alternately flirtatious and forthright, romantic and rebellious, alarmed and alluring, Moore’s rounded portrayal of Floria Tosca makes the character all the more engaging and subsequently makes her tragedy all the more affecting. Powerhouse tenor Diego Torre gives arguably his strongest performance to date, the rock solid quality of his vocal technique resulting in a thrilling performance. Shortly after his first entrance, Torre brings the house down with a searing rendition of “Recondita armonia,” the final ringing high notes all the better for being given ample room to breathe. Torre and Moore enjoy wonderful chemistry, portraying sincere, sweet affection for each other’s character. 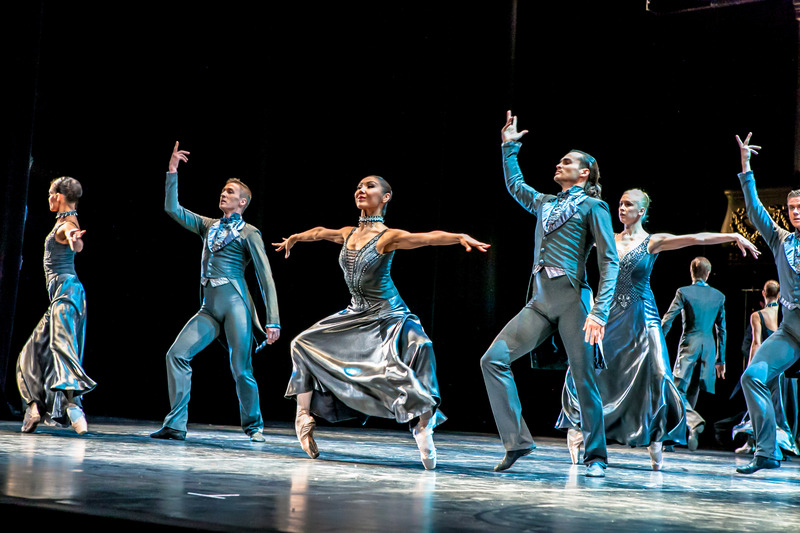 The pair benefits from Puccini’s climactic a cappella sequence, “Trionfal, di nova speme l’anima freme,”in which their highly musical voices ring out with clarion splendour as Cavaradossi and Tosca express their final ecstasy. Making his Australian debut, Italian baritone Marco Vratogna brings an intense drive to Scarpia. Vratogna clearly has an attractive, rich timbre to his voice, but he undermines his performance at times by over-singing some phrases. 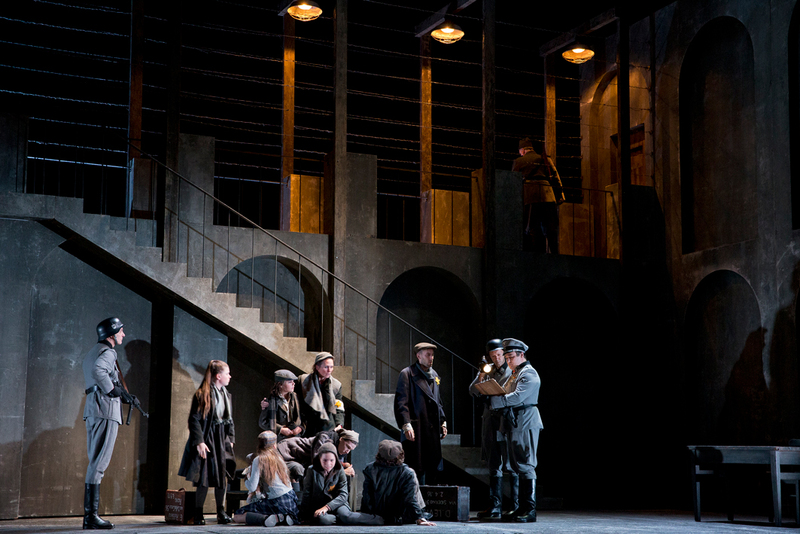 Rather than holding some of Scarpia’s menace in reserve, Vratogna starts at an aggressive point, leaving him nowhere to go but to shout some of his lyrics in act two when Scarpia’s mania increases. 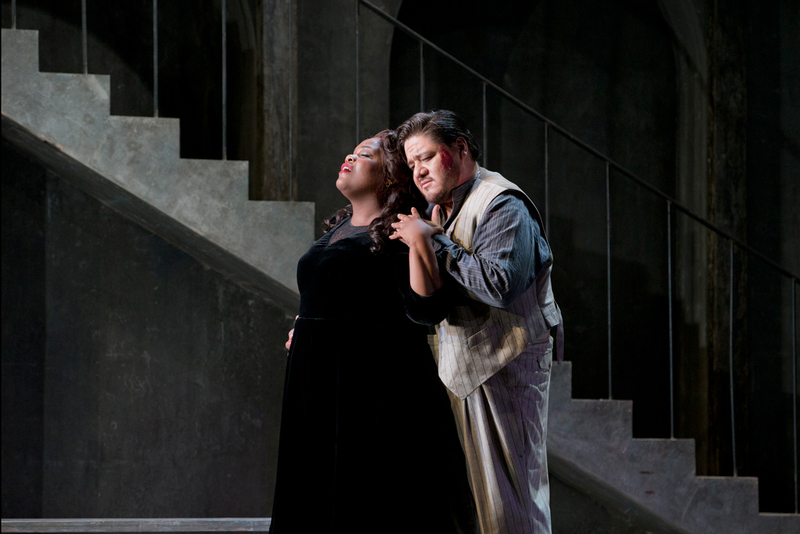 Moore’s delightful performance creates a very strong reason not to miss this return season of Tosca. Torre’s performance is equally compelling, and, together, he and Moore are quite the pair. 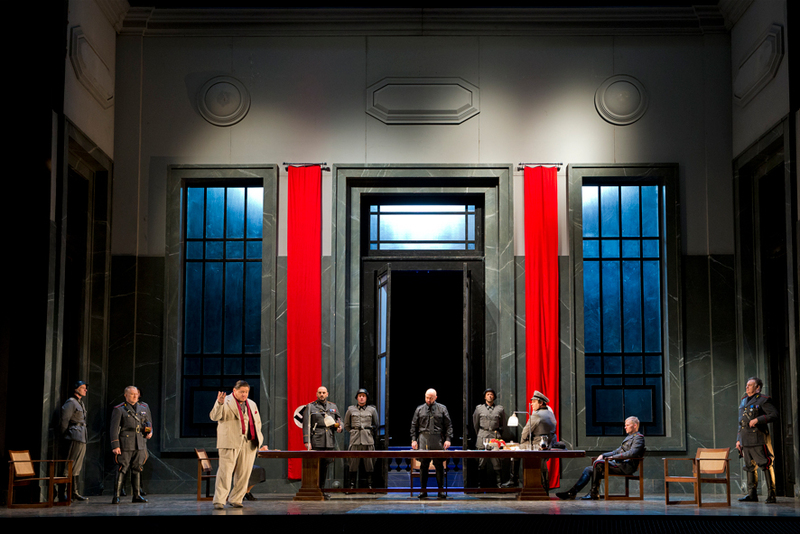 Tosca plays selected dates at State Theatre, Arts Centre Melbourne until 10 May 2018. Agreed Simon, an excellent production ! Beautiful singing from leads and chorus. Thanks, Darren. I am still thinking about Latonia Moore today – what a treat.